It's pretty amazing/impressive that a studio can crank out new modes/content like this for a title that, ostensibly, is geared around its 5v5 PvP mode. This isn't the first time they've done this, either, and while their "Adventures" aren't always co-op in nature, it's cool that there are some different things that are tossed in to attract folks into the game. While Nick, Locke, and myself didn't have the best luck in even making it to the first boss, we still had some fun trying things out. 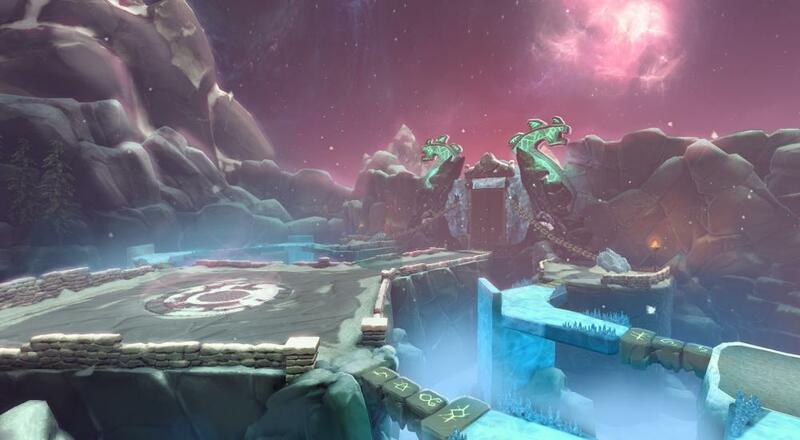 If you're interested in playing some SMITE with your buddies, then we've got a deal for you. Click on the button below to enter for a chance to win one of four codes that can be redeemed within the game (after logging in/launching it, go to the "Redeem" section from the Store menu). The code will unlock the "Ultimate God Pack," granting you access to the full roster of gods now and into the future, as well as adding 10k gems (the premium currency) to your account. I'd advise you to use at least 900 of those gems to unlock the "Trickster" bundle that's part of the "Shadows Over Hercopolis" event so you can access more of the features within the town/Adventure. These codes are also platform independent, so you're free to redeem it on PC, PlayStation 4, or Xbox One. The contest is open to everyone and will run until 5:00 PM EST Saturday, November 11, 2017. You're allowed to enter once per day to try to win a code until the contest ends or all codes are gone. Good luck and have fun smiting!